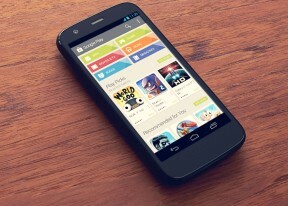 The Moto G 4G is like an expansion pack, it isn't a brand new device, a successor, a sequel. It is just an improved edition for those who wished for one. It is that simple. It comes with all pros and cons the original Moto G came sans the upgrades. Luckily, the price remains really attractive and the new features will cost you a premium of only about €35. This allows it to keep its place among the cheapest LTE-enable phones on the market. The uninspiring camera has been an issue for the Moto G and Moto E, and it continues to be so in the Moto G 4G. While it could have benefited from an upgrade, we would have been happy even on an improved camera algorithm. But given the great achievements in every other department, including the fast Android updates, we are definitely inclined to forgive the poor camera performance. There are quite a few devices ready to meet the Motorola Moto G 4G on the market. Let's check them out. LG G2 mini LTE features a bigger 4.7" IPS display of lower qHD resolution. It runs on the same Snapdragon 400 chipset with 1GB of RAM, but has a 8MP camera with 1080p recording and brings the LG's latest design innovations (the rear control deck), as well the latest Optimus UX optimizations and proprietary features (such as Knock Code). It costs about €20 more than the Moto G 4G and is an option you may consider. And if you don't need the LTE connectivity, the regular model's price is on par with the Moto G 4G's. Next comes the LTE-enabled Sony Xperia M2. It offers a bigger 4.8" qHD (that's 540x960 pixels) display, identical Snapdragon 400 chip, and a better 8MP cam. 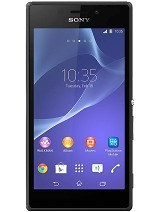 Sony's take on Android is very close to the pure experience Moto is offering, while the price tag stays the same. Oh, and you can get it in a dust and water-proof variant, too - the recently announced Xperia M2 Aqua. There is another much cheaper droid, you may want to check out. The €100 Alcatel Idol S packs a 4.7" IPS 720p display, offers LTE connectivity and a microSD slot, comes with an 8MP cam supporting 1080p video capturing, and its shell is very beautiful and just 7mm thin. The phone is less capable though with a dual-core 1.2GHz Cortex-A9 processor, while the PowerVR SGX531u GPU isn't among the snappiest in this class. But hey, the Idol S is almost half as cheap as the Moto G 4G, so you should have that in mind. Finally, Nokia Lumia 635 is a great LTE-capable mid-range smartphone. It is cheaper, comes with a 4.5" WVGA IPS display, and utilizes the same Snapdragon 400 chipset but with 512MB of RAM. The Lumia 635 runs on the latest Windows Phone 8.1 OS. If you aren't biased against Windows Phone, Lumia 635 is a great alternative to the Moto G 4G and most other affordable Android. Motorola Moto G 4G is a great improvement over the original model and it hardly has got anything wrong. Well, the camera is bad as before, but that wasn't on the update sheet anyway. It's a great affordable mid-ranger and while it may not be the perfect smartphone in the class, it surely is among the best - a commendable achievement nevertheless. And if you don't worry about the camera quality, then you don't have to worry about anything with the Moto G 4G!